Body and Thought: Murobushi san, is Death the “Outside”? We attempt to understand Ko Murobushi by focusing on footage from Ko Murobushi’s solo performance “quick silver” that was performed at the festival in Lecce, Italy. 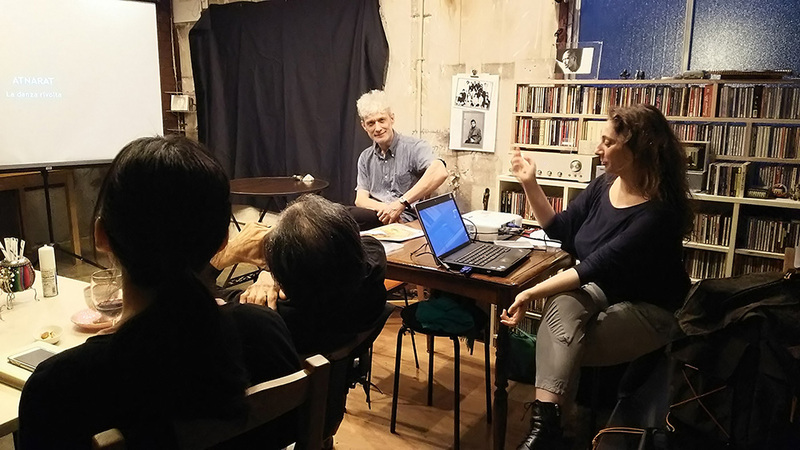 Katja Centonze is currently Lecturer at Waseda University, Visiting Researcher at the Tsubouchi Shōyō Memorial Theatre Museum and Ph.D. candidate at Trier University. She has been teaching Japanese Literature and Theatre at Ca’Foscari University since 1998, and Japanese Language and Literature at Calabria University since 2005. Her research focuses on the body in Japanese performing arts (especially Hijikata Tatsumi’s butō and contemporary dance) and on the body as represented in Japanese literature. Among her publications she edited Avant-Gardes in Japan. Anniversary of Futurism and Butō: Performing Arts and Cultural Practices between Contemporariness and Tradition (Cafoscarina, Venezia, 2010).